It’s official! 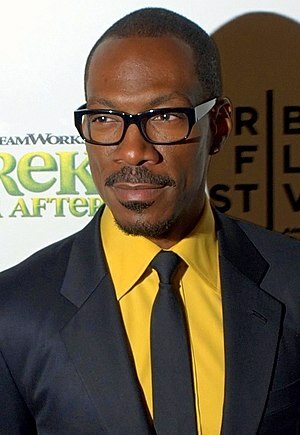 The rumors were swirling when Eddie Murphy’s name was put forth to host the 2012 Academy Awards. Now it’s a done deal! The 83rd Annual Academy Award show attempted to draw in a younger audience with the selection of Anne Hathaway and James Franco as last year’s hosts. In my opinion, last year’s award show was a bit of a snooze but on paper it sounded like a good idea. With the selection of Murphy as host, again on paper it sounds like a great idea. Let’s see if it works out, if anything it will generate a lot of buzz. The Summer Movie Season is almost over as we go into the last month of summer. How time flies! This month the films are more low-key but there are a few films that may bring in the crowds. Kicking off the the month, Jason Bateman and Ryan Reynolds star in “The Change-Up” which has a “Freaky Friday” sort of premise where each guy swap lives literally in each other’s body. Also opening is the prequel to “Planet of the Apes”, “Rise of the Planet of the Apes” starring James Franco. This film can go either way, but watching the trailer reminds me of the “Gozilla” remake starring Matthew Broderick, which was kind of a bust. Based upon the best selling novel, “The Help”, makes its way to the big screen. Emma Stone, Bryce Dallas Howard, Octavia Spencer, and Academy Award nominee Viola Davis head the cast in what looks to be a poignant yet funny film. From the director of “Zombieland”, “30 Minutes or Less” looks to be a funny film that could be a hit or a miss. Also following in the 3D concert film fad is “Glee: The 3D Concert Movie”. This concert film should be a hit on paper judging on past concert films such as Hannah Montana/Miley Cyrus concert, The Jonas Brothers, and Justin Bieber in “Never Say Never”. Step aside Mr. Schwarzenegger and welcome the new Conan, Jason Momoa, who stars in the remake of “Conan the Barbarian”. The original film came out in 1982, so with all of the advancements in technology the film should have much improved visual effects from the original…the script on the other hand is a different story. I guess we shall see once the reviews come in. Toward the end of the month, Paul Rudd along with Zooey Deschanel, Elizabeth Banks, Emily Mortimer, and Rashida Jones star in “Our Idiot Brother”, which looks to be a funny film. My spotlight picks of the month are “One Day” and “The Whistleblower. “One Day” is based upon the best-selling novel by David Nicholls and stars Anne Hathaway and Jim Sturgess. This film was suppose to open last month but it got pushed to this month. Nonetheless, the book was really good, and I’m looking forward to seeing how it translates to screen. Thus far the trailers look on point. If you haven’t seen the trailers for “One Day” yet, click here to watch both trailers. “The Whistleblower stars Academy Award winner Rachel Weisz, in a film that is based on actual events where a police officer tries to keep the peace in post-war Bosnia but uncovers corruption and cover ups. Looks like an intriguing thriller that already has some Oscar buzz surrounding it. Well that’s my August overview, click on the link below to check out the rest of the movies coming out this month and check back next month for the start of the Fall Movie Season and my picks of the month. If you’ve seen any of the films from this month…leave some feedback/suggestions in the Comments section on what to see. Winter is almost upon us and the holiday season approaches. So what films will light up the holiday season? The month kicks off with Natalie Portman starring in Darren Aronofsky’s “Black Swan”, where dance can take a dark turn. Mid-month is when some of the bigger movie releases are going to emerge. The third installment of the “Chronicles of Narnia” franchise, “The Voyage of the Dawn Treader” takes flight. Academy Award winner, Helen Mirren, stars in an adaptation of Shakespeare’s “The Tempest” while Johnny Depp and Angelina Jolie star in the thriller “The Tourist”. Getting a head start over the Christmas Day movie releases we have Disney’s “Tron: Legacy” (in 3D) which is sure to be a big hit, the movie adaptation of the popular cartoon Yogi Bear, and the rom com “How Do You Know” starring Academy Award winner Reese Witherspoon (“Walk the Line”) and funny men, Owen Wilson (“Wedding Crashers”) and Paul Rudd (“I Love You, Man”). As for the Christmas releases we have the latest film with the Fockers, “Little Fockers”, the new adaptation of “Gulliver’s Travels” starring Jack Black (“School of Rock”), and the Coen Brothers’s “True Grit”. Also Academy Award winner Gwyneth Paltrow stars in “Country Strong”, which opens as a limited release but will expand in January 2011. The film has also been generating some Oscar buzz. My spotlight picks of the month are “The Company Men” and “The Fighter”. Mark Wahlberg (“The Italian Job”) and Christian Bale (“Batman Begins”) star in “The Fighter” which is gaining some Oscar buzz as well as “The Company Men”. Although both films have similar themes as other Oscar nominated films being “Rocky” and “Up in the Air”, they both seem to have a special quality that may be worth checking out. Well that’s my December overview, click on the link below to check out the rest of the movies coming out this month and check back next month for more Winter Movie Season picks. Check out the full performance of “Forget You” by Cee Lo Green from “Glee” featuring Academy Award Winner Gwyneth Paltrow (“Shakespeare in Love”). “Forget You” is from the episode “Substitute” which aired on November 16, 2010. Could Gwyneth Paltrow be the next “Glee” guest star to receive an Emmy nomination? For more “Glee” news and clips, visit the Glee category on my blog or just click here. It’s October and the theme of the month is Halloween, scary movies, and the paranormal. If that’s not your cup of tea, there are some feel good movies and action movies coming out this month as well. Opening the month is “The Social Network”, which has been garnering some buzz. “Case 39” stars Bradley Cooper (“The Hangover”) and Renee Zellweger which is one the scary/horror films of the month. Stepping away from the scary/horror films, then you want to turn to some family films like “Life As We Know It” and Disney’s “Secretariat”. Based upon the true story of the last Triple Crown winning horse, can Secretariat score the numbers that Seabiscuit garnered? I guess we shall see. Also gaining some good feedback is “Red” based upon the D.C. Comics graphic novel by Warren Ellis and Cully Hamner. Academy Award winner, Helen Mirren, wields a large automatic weapon in the trailer. It’s either going to be awesome or an epic fail. I believe the potential blockbusters of the month will be a scary/horror film. Could it be a sequel, such as “Saw 3D” or “Paranormal Activity 2” or possibly “My Soul to Take” from Wes Craven, director of the “Scream” film franchise. My spotlight pick of the month is “It’s Kind of a Funny Story” adapted from Ned Vizzini’s 2006 novel of the same name and the film stars Zach Galifianakis (“The Hangover”). Looks to be an offbeat and quirky dramedy (drama/comedy) with possible tear jerking moments. Well that’s my October overview, click on the link below to check out the rest of the movies coming out this month and check back next month for more Fall Movie Season picks.